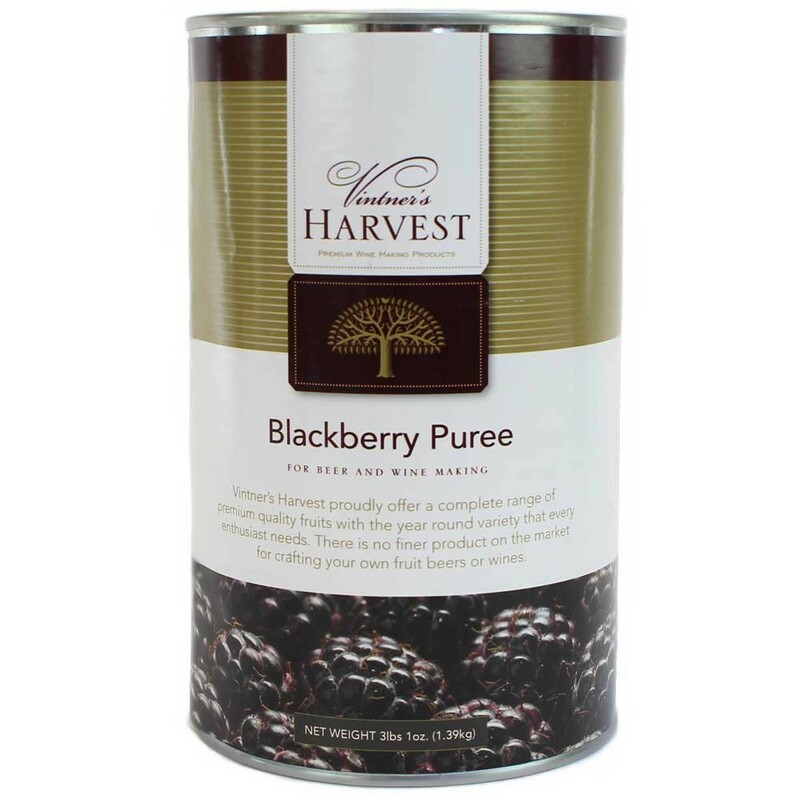 Sterile blackberry puree can be added directly to the primary or secondary fermenter. Vintners Harvest Fruit Purees can be used in any beer or wine recipe that calls for fruit. The purees contain no seeds and have been commercially sterilized. Because the seeds have been removed, purees are more slightly more concentrated than whole fruit. Use 10-15% less blackberry puree than called for by recipe. Contains 49 oz of puree.